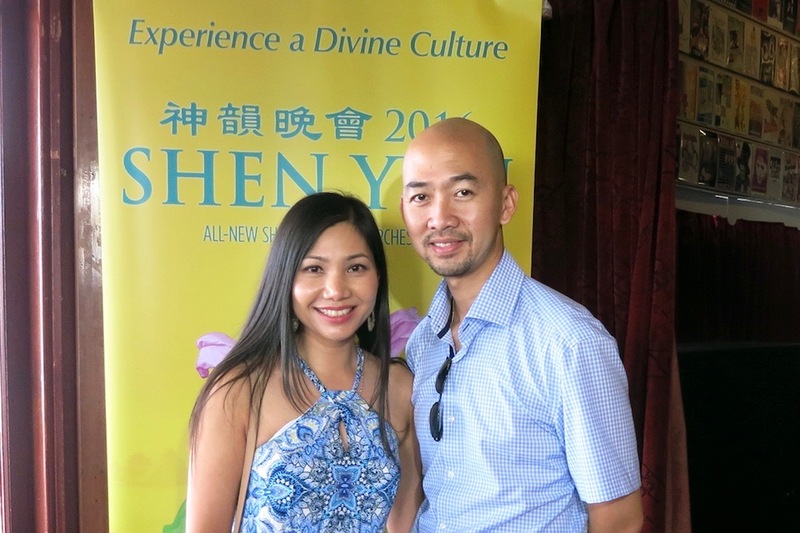 PERTH, Australia—Stormy weather on the first night building into a heatwave on the last, did nothing to dampen the spirits of Western Australians, who turned out to see Shen Yun Performing Arts World Company’s extravaganza, in Perth. Many were seeing the New York-based classical Chinese dance and music company for the first time, staged from Jan. 30 to Feb. 6 at the freshly renovated Regal Theatre. 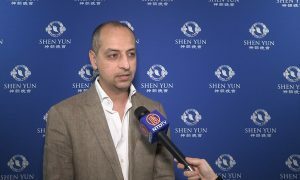 Shen Yun World Company is one of four companies traversing the globe simultaneously performing in more than 100 cities on five continents. It aspires to revive China’s 5,000-year-old divinely inspired ancient culture to share with the world. From Perth, the company will stopover in Adelaide Feb. 9 before heading to New Zealand’s major cities, Auckland and Wellington, to continue its 2016 World Tour. 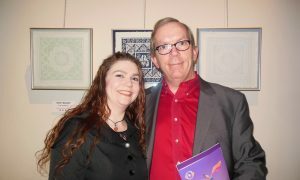 Ignoring the rain, MP Roger Cook, MLA, and his wife Carly, an arts curator, were among the newbies seeing Shen Yun on the stormy opening night, Jan. 30. “It’s spectacular and I really enjoyed the dancing, incredible skills and grace,” Mr. Cook said. 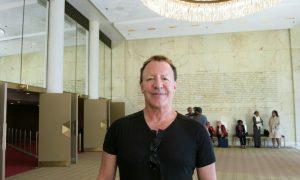 Mr. Cook was particularly amazed when the Shen Yun commentators said the athleticism and tumbling techniques came from classical Chinese dance—”just one part of the classical Chinese art routine,” he said. Shen Yun’s website delves deeper. “The movements of classical Chinese dance are rich in their ability to express a variety of feelings; happiness, sorrow, joy, anger, grief, delight, the emotions that come with parting and reuniting,” to name a few. “In this dance form, only when inner feelings drive the body, is full expression achieved,” the website says. In the 1970s, China’s gymnastics teams took classical Chinese dance techniques and flips, and used them on a large scale in gymnastics events managing to win five all-around gold medals at once. Gymnasts around the world were astonished and learning the techniques and flips of classical Chinese dance, overnight, the gymnastics competitions were pushed to a higher level of technical skill, the website says. “So, from that point of view, it’s incredibly exciting and a great display,” said Mr. Cook who holds the Kirwnana seat in Western Australia. He is also the Deputy Leader of the Opposition and Shadow Minister for the Minister of Health. 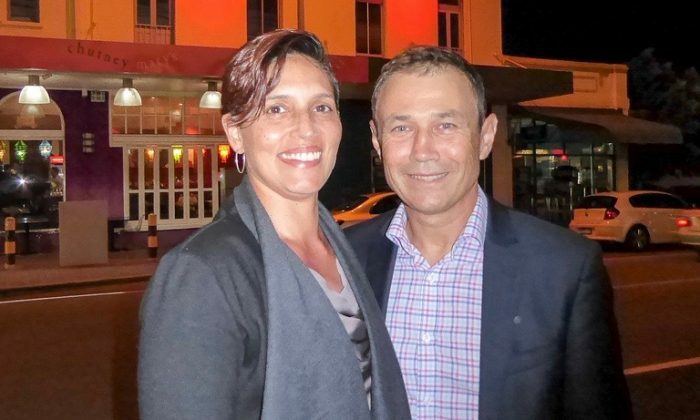 His wife Carly is the AGWA arts curator for Aboriginal and Torres Strait artists. As the week bore on, the weather improved immensely and by Wednesday, Perth’s summer had returned. The audience clapped through the dances and laughter filled the packed theatre. 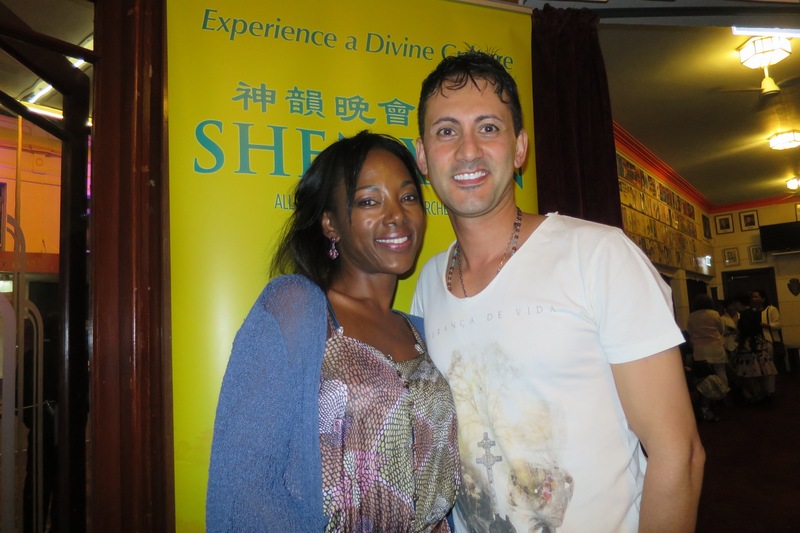 In its midst was Zalira Dalton, makeup artist and photographer, who came with Tony Khamis, self employed. “It’s inspiring. I love all the colours, the energy … beautiful, visually exciting, and arresting,” Ms. Dalton said. 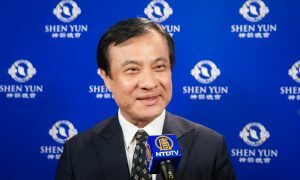 Through the universal language of music and dance, Shen Yun weaves a wondrous tapestry of heavenly realms, ancient legends, and modern heroic tales, taking you on a journey through 5,000 years of Chinese culture, says the website. Its stunning beauty and tremendous energy leave audiences uplifted and inspired. Ms. Dalton was definitely inspired by a story dance that left a deep imprint in her soul. “If you believe in something, then be persistent and do what your soul wants you to. If you feel it’s right then continue with it, because eventually others will come on board and fight your cause with you,” she said. Looking back, Ms. Dalton dare not say which item she enjoyed most. 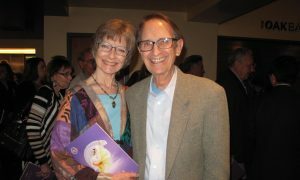 Pharmacist Trang Nguyen, who attended the performance with her husband Hugh, was “blown away” by the Shen Yun orchestra blending East and West instruments creating a unique sound. 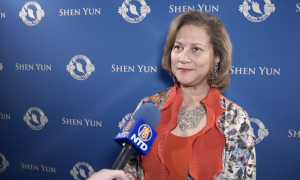 Born in Vietnam, Mrs. Nguyen could relate to the history, spirituality, and also contemporary stories portrayed by Shen Yun. 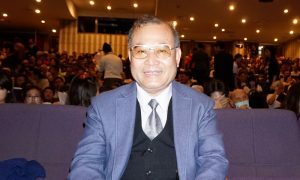 Mrs. Nguyen said a message she would take away from the performance is the brutal persecution by the Chinese communist regime. Her husband Hugh, who is also Vietnamese, was impressed. “Pretty extraordinary, pretty overwhelming. You know, I came here not expecting that sort of a standard, but it was actually way above expectations,” he said. Full and packed houses, lots of applause, laughter, and standing ovations were testament to the unforgettable nine Shen Yun performances as the curtain falls and Perth’s audiences bid farewell.